Terence is ranked as a leading silk in the directories for chancery commercial, commercial dispute resolution, banking and finance, financial services, insolvency, company and offshore. The 2018 edition of Chambers UK says that he has “fantastic judgement”, is “absolutely brilliant in court”, and “a lawyer who exudes extraordinary authority”. In the 2017 edition of The Legal 500 UK, he is hailed as “a standout individual”, “a fantastic cross-examiner” and a silk who has “a detailed knowledge of many areas of law“. 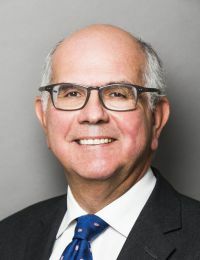 Much of his work is international in nature and he has a well-deserved reputation for his international expertise, acting and advising in the UK and in many offshore jurisdictions and arbitral tribunals. In particular, he has an extensive experience advising on the laws of and/or appearing in the BVI, Bahamas, Bermuda, BVI, Cayman Islands, Gibraltar, and the Isle of Man. His pre-eminence in multi-jurisdictional disputes involves him in strategy, interim remedies such as freezing injunctions, conflicts of law, and asset tracing and recovery.